You may already know that we at Yatzer are big vinyl toys lovers and have expressed our fascination for this expanding scene. Vinyl is a unique material and we love its touch and its smell. 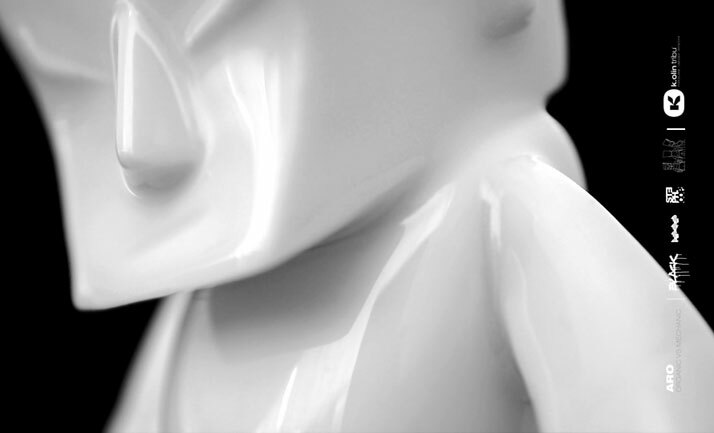 But when it comes to experimenting, the guys behind K.Olin Tribu have certainly surprised us when they decided to use porcelain instead of vinyl or plastic in order to give a twisted, more luxurious touch to already famous art toys. For that they teamed up with some of the most renowned artists like Fran Kozik, Nathan Jurevicius, Ron English, Emilio Garcia or Steph Cop. Coming from France, Matthieu, a passionate art toy collector, and Yann, an artist that uses porcelain, founded K.Olin Tribu in order to establish the presence of art toys in interior design. K.Olin Tribu has its base in Limoges and, naturally, they only use finest quality Limoges porcelain for their products. Their first release was a porcelain re/edition of the ARO (Obsessional Reflex Analysis) character of the Imaginary Friends by Steph. Cop, originally issued in vinyl in 2002. This became eventually a big success and many vinyl lovers expressed their willing to explore this new territory. 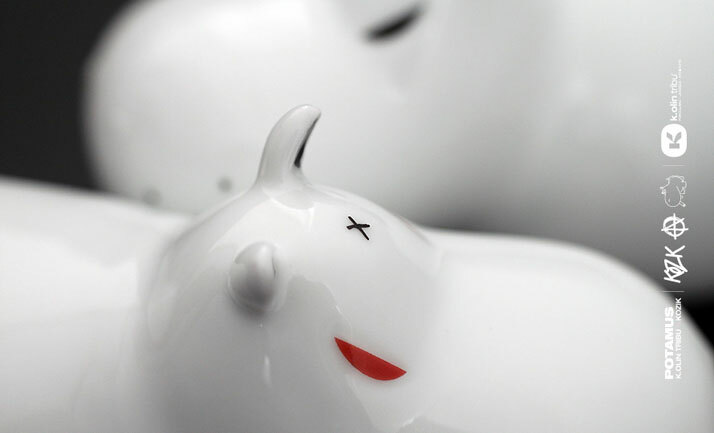 K.Olin Tribu´s latest adventure is the release of Kozik’s Potamus in two versions, the red anarchy and the black anarchy (250 pieces of each one), which are also sold as a couple (50 pieces). And as if that was not enough, they are planning to release in 2011 a fantastic take on Bunniguru figure by Nathan Jurevicius. 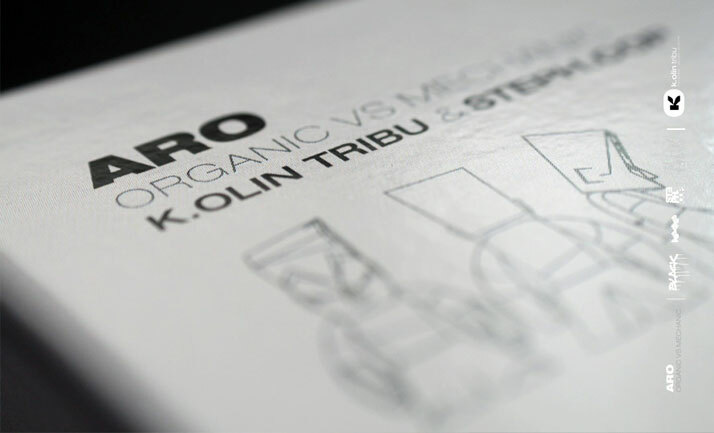 All K.Olin Tribu releases are limited edition and they come numbered, accompanied with a certificate of authenticity. 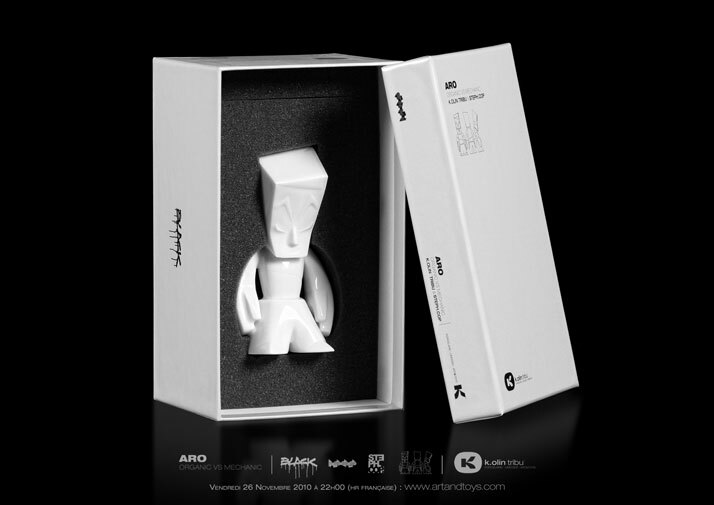 Never bored of new thrills, we fell definitely in love with the sleek touch of porcelain that gives a new dimension to the original editions of art toys (first explored by Jaime Hayon for Lladró) and admit to be totally curious about K.Olin Tribu´s next collaboration. We do not know if porcelain is the new vinyl but it certainly looks absolutely fantastic!